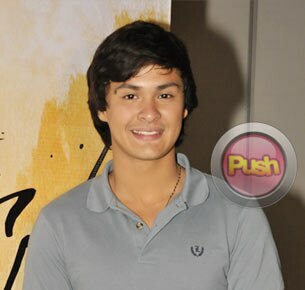 As one of Kim Chiu’s leading men in Binondo Girl, Matteo Guidicelli is aware that avid fans of the Kimerald tandem might compare him with Gerald Anderson. But instead of worrying about it, he said he believes that they are mature enough to accept Kim’s newest endeavor in her showbiz career. “Siyempre malaki ang pressure kasi bago ang Binondo Girl tapos it’s a perfect project from ABS-CBN. Pero sana magustuhan po ng fans ni Kim kasi si Gerald ‘di ba with Sarah Geronimo sa Catch Me… I’m In Love, bago yung team-up nila but still sobrang successful yung movie namin. So sana ito din magustuhan ng fans,” he said during the story con of Binondo Girl.